That would have to be your decision alone. I have heard though that Roehl is a very good company to work for. Every once and a while I find a really good video about trucking. This video, "The no BS truth about trucking" is worthy of a watch. This guy, I think lays it on the line for someone who wants to get into trucking. He's down to earth and tells it like it is/will be. The Great American Trucking Show will be in Dallas this week - Thur-Sat this week for those of you living in the Dallas area at the Dallas Convention Center. There will be vendors and custom/restored big rigs. Go to GATS Online for full details and registration. You can also find videos of GATS in past years on YouTube. Redgator, If you go to Zazzle.com, they can custom make just about anything you can think of. You upload the artwork, and they'll make you your bumper sticker or pillow or skateboard or,or,or....! OK here goes. I am currently taking Concerta for ADD and Prozac/Welbutrin for Clinical depression. These meds keep me functioning like a regular person. This would not affect my learning or driving abilities. I have read in other forums of people who are on schedule 2 meds and their company training schools have said, "No way". I have contacted Stevens about this and they said that they don't discuss medications (in CAPS). I don't want to get my hopes up a go to the trouble of getting all signed up, and then shot down before I even get started. My Dr would sign a note for this with no problem. I also wouldn't want to go through a private school and then not get hired from an outside company. Any thoughts or suggestions would be appreciated! This guy, "YourboyE The Trucker" has some very good videos on trucking. He is positive and realistic in his approach to trucking. This video on how to double-clutch will start a 3 part series which, if you are new to it, is very helpful and thorough. Just thought I'd put this out there. If Roehl is just a training company funded by government subsidies that just "churns out new drivers", would this apply to other training companies as well or is Roehl just particular that way? I am looking at Stevens Transport for training and might consider traditional CDL training to avoid any "traps". I don't see this however at Stevens. I was reading about various terrains that the student driver will encounter during the OTR portion of training. The one that caught my eye was "back into a dock in the northeast region of the United States." That struck me as odd. Is there a difference elsewhere or is this something unique to Stevens? Just curious. 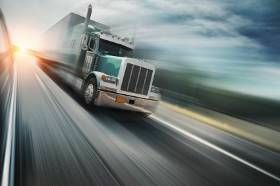 Even though I am not getting into trucking right away, can I get my CDL early? When I sign up with a company would I still need to go through the whole course, even as a refresher? It will still be a year or so before doing so. Stevens Transport, FFE, or CR England? Well, there is Swift in San Antonio. That would also be an option. I have a friend that drives for Swift and he really likes it. He been with them for 7 years now and now drives a dedicated route with Sears. Thoughts on Swift? I've heard good an not so good (21 cpm to start) but they are very good about hiring their students. I am looking at either Stevens Transport or CR England for school after I retire from my current job. I am looking for no touch freight or at least very minimal touch. Do ST and CR E have dry van or reefer only? I looking at those two because they are here in the Dallas area. I considered FFE too as they are in Fort Worth. What are your thoughts? I have heard that these are all good schools. Will age be a factor? I am interested in getting into trucking. I spoke with a trucker friend of mine the other day about the business. He was an IT specialist before going to school and driving with Swift going on 7 years now. He likes Swift And loves driving a truck. He was OTR for several years before getting a dedicated route with Sears (driving with Swift). He started with a team trainer to begin with and now drives solo. He said that most of the big company's are similar in schooling and training. Our local CC here in Dallas works as the classroom study. It it partnering with International Driving Schools in Dallas. ITS is paid normal tuition and, with CC, classes are 4 weeks. One week for classroom and 3 weeks on the range at ITS. Once ITS is satisfied with your driving, you use one of their trucks for the DPS test. Just thought I'd throw that out there. I don't know if all CC's work this way. Some larger campuses might have their own trucks. I lived in Texas all my life and whatever roads are bad, they are forever being repaired or widened or,or,or...But just like the weather in Texas, if a road is bad, wait 5 minutes and it will be under construction! What is "slip seating" and "forced dispatch"? Is this something that is an advantage or not? Hard To Find Topics Here On TruckingTruth? Some forums use "stickies," FAQ, ect,that stay at the top of the forums that are just updated by the mods.